Raymond Akamby, Author at SABC News - Breaking news, special reports, world, business, sport coverage of all South African current events. Africa's news leader. DA leader, Mmusi Maimane, believes that a non-racial coalition government would bring change to South Africa. He was speaking in Nelson Mandela Bay townships of Motherwell and Bethelsdorp in the Eastern Cape. 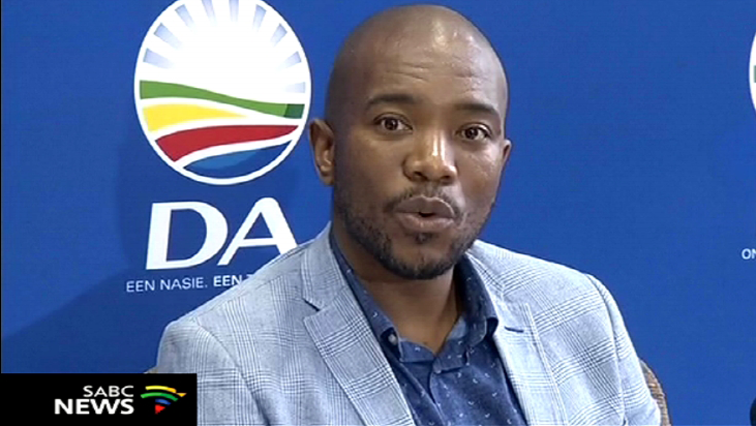 Maimane was accompanied by the DA’s spokesperson for corruption, Phumzile van Damme and Eastern Cape premier candidate Nqaba Banga on the party’s Kasi-to-Kasi election campaign trail. Maimane also addressed the DA students’ wing DASO at the Iqhayiya TVET College and told them that a one party was a recipe for state capture. On Monday night, after the blaze erupted, Macron had cancelled a speech expected to outline key measures in response to months of anti-governments protests. 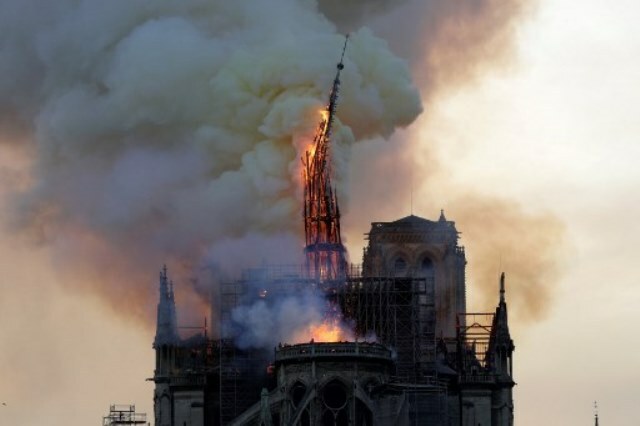 The steeple and spire of the landmark Notre-Dame Cathedral collapses as the cathedral is engulfed in flames in central Paris. Culture Minister Franck Riester said both objects, which were housed in the Cathedral’s treasury, had been saved “thanks to the great courage of firefighters”. There were three holy items in the spire that collapsed in flames on Monday: a fragment of the Crown of Thorns and relics from Saint Denis and Saint Genevieve, two of the city’s most cherished saints. Of the cathedral’s three organs, the most impressive is the Great Organ with five keyboards, 109 stops and close to 8,000 pipes. It survived the 18th century French Revolution unscathed, even though the building was vandalised, “thanks no doubt to its use in playing patriotic music,” the cathedral website says. 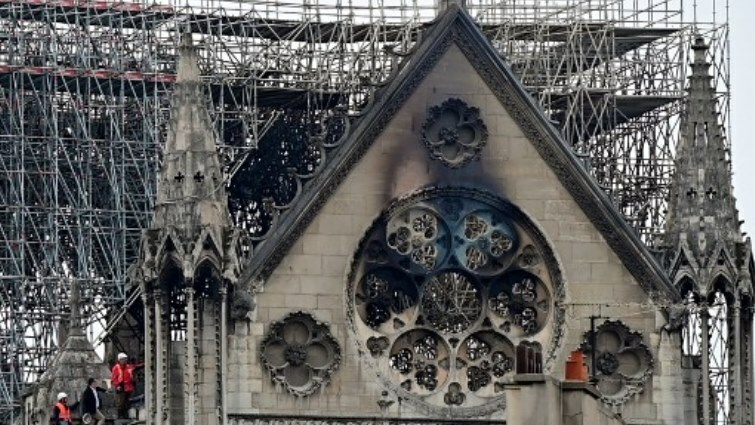 Philippe Lefebvre, one of three official organists at the cathedral, said while the organ “has not been burned” its structure could have suffered from other damage. 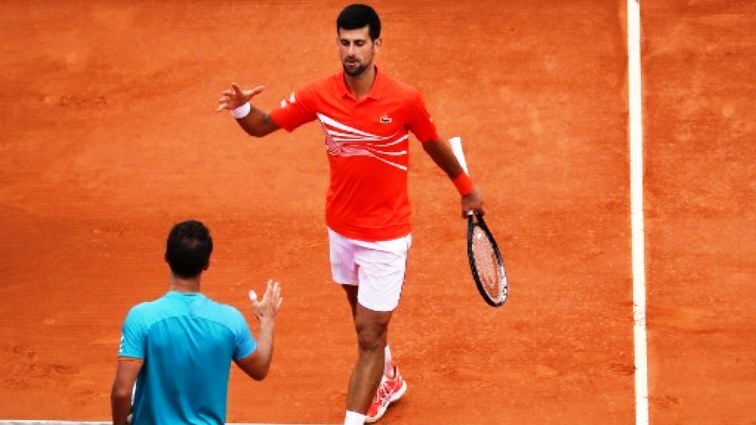 “In the months to come, that is going to dry and risk provoking structural problems,” he told AFP. Riester said that organ was “quite affected” by the fire. The cathedral’s three exquisite stained glass circular rose windows were built in the 13th century and renovated several times. Riester said that the windows “had apparently not suffered catastrophic damage”. Between 1630 and 1707 the Paris goldsmith guild presented the cathedral with a painting on every May 1. Of these 76 works called “The Mays”, 13 were displayed in various chapels in the cathedral. On the west wall of the Chapel of Saint-Guillaume is the one considered to be the most beautiful paintings called the “Visitation” by Jean-Baptiste Jouvenet (1716). “The fire did not touch the pictures, but in these cases the damage is due to water,” he said. The largest and oldest of the cathedral’s bells is known as the Bourdon Emmanuel. Cast 300 years ago, it weighs 13 tonnes, its clapper alone being 500 kilogrammes (1,102 pounds). Egypt’s general-turned-president Abdel Fattah al-Sisi who could stay in power until 2030 is an autocrat for some and symbol of stability for others. The 596-member parliament stacked with Sisi’s supporters on Tuesday approved amendments allowing the president to extend his current term by two years and stand for another six-year mandate. He could as a result remain president until 2030, and has also been granted greater control over the judiciary under the amendments. The amendments are expected to be put to a public referendum later this month. Critics have slammed the amendments as “unconstitutional”. 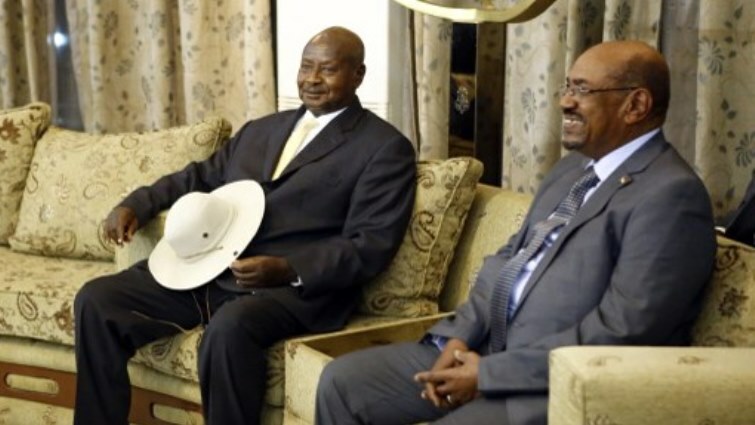 The sweeping constitutional changes in Egypt where demonstrations have effectively been banned under Sisi come as months-long protests in neighbouring Sudan brought down veteran ruler Omar al-Bashir. In Algeria, president Abdelaziz Bouteflika was forced to resign earlier this month after mass protests. Sisi, as a champion of stability, commands the support of Western powers. US President Donald Trump regularly lavishes him with praise, hailing him for doing a “great job” during his latest visit to the White House on April 9. A former army chief, Sisi stormed to the presidency at 2014 polls winning 96.9 percent of the vote, a year after having led the military in ousting Egypt’s first freely-elected president, the Islamist Mohamed Morsi. Whether people love or loathe Sisi, regard him as a bulwark of stability or as an autocrat, Sisi is the undisputed political force in Egypt. Under Sisi, authorities have silenced all forms of political opposition in a sweeping crackdown on Islamists as well as secular and liberal activists. Even prominent novelists, actors and singers who express the slightest criticism of Sisi’s rule have not been spared. In the run-up to his 2018 re-election, he swept aside all token opposition parties, leaving him as the only real choice on the ballot paper. The sole challenger was little-known Moussa Mostafa Moussa, himself a supporter of the president, who registered at the 11th hour, saving the election from being a one-horse race. Sisi swept the poll with 97 percent of the ballots, according to official results. Sisi, a former career army officer, was born in November 1954 in El-Gamaleya neighbourhood in the heart of Islamic Cairo. He graduated from Egypt’s military academy in 1977, later studied in Britain and the United States, and became military intelligence chief under president Hosni Mubarak who was toppled in a 2011 uprising. Speaking in Egypt’s Arabic dialect, sometimes laughing in the middle of his own lengthy speeches, he projects an image of father of the nation. He is fond of telling Egyptians that they are the apple of his eye, stressing he is there only to serve the people. Sisi, regularly invoking stability as cornerstone to achieving prosperity, has made the fight against terrorism a priority. He is seen by many Egyptians as the right man to lead the country after years of political, security and economic turmoil that followed the ouster of Mubarak. A father of four whose wife wears a headscarf, Sisi is described by those close to him as a pious Muslim who does not miss any of the five daily prayers. But he is also reported to have a strong sense of his own importance, with audio recordings leaked by Islamic-leaning media pointing to a big ego. Ironically, it was now-jailed Morsi who appointed Sisi defence minister and commander-in-chief of the armed forces in 2012. At the time, Human Rights Watch said the “mass killings of protesters” that day amounted to “probable crimes against humanity”. Since Morsi’s removal, tens of thousands of his followers have been jailed, and hundreds sentenced in rapid mass trials condemned by the United Nations. Sisi has also launched a military campaign against Islamic State group fighters based in the restive north of the Sinai Peninsula. But so far he has been unable to quash the insurgency. On the economic front, he has launched an IMF-mandated programme of drastic reforms that include cutting energy subsidies, introducing value-added tax and floating the pound. 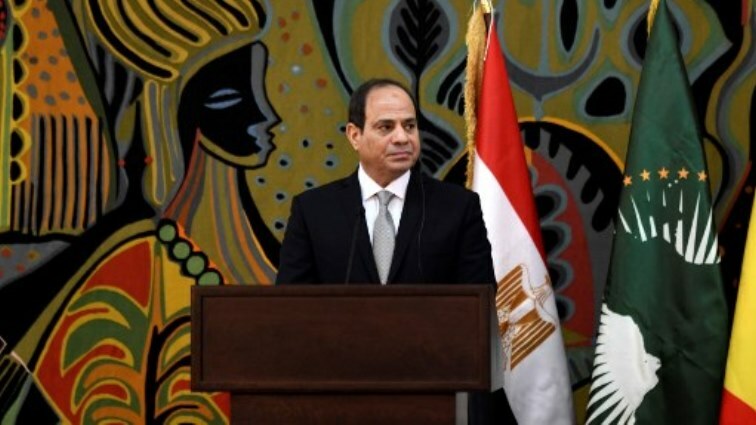 Many secular and left-wing activists initially supported Sisi, but he has repeatedly been accused by international human rights groups of committing serious violations to silence dissent. During his first presidential campaign in 2014, he said that “talking about freedoms” should not take precedence over “national security”. Egypt needed “20 to 25 years to establish a true democracy”, he said.